I'm back with Part 2 of our day at Great America. It was a full day, packed with lots of great photo opportunities. I'm not a weekly scrapper, so the occasional multi-page spread works out for me. Go here to see the first part of this blog series. 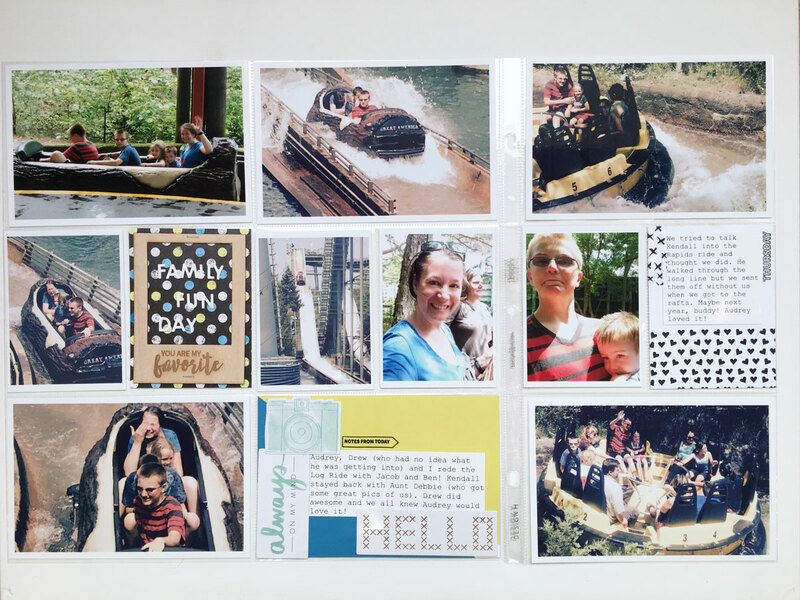 These pages use a combination of the last of my Take 10 Kits and some MAMBI cards from my stash. 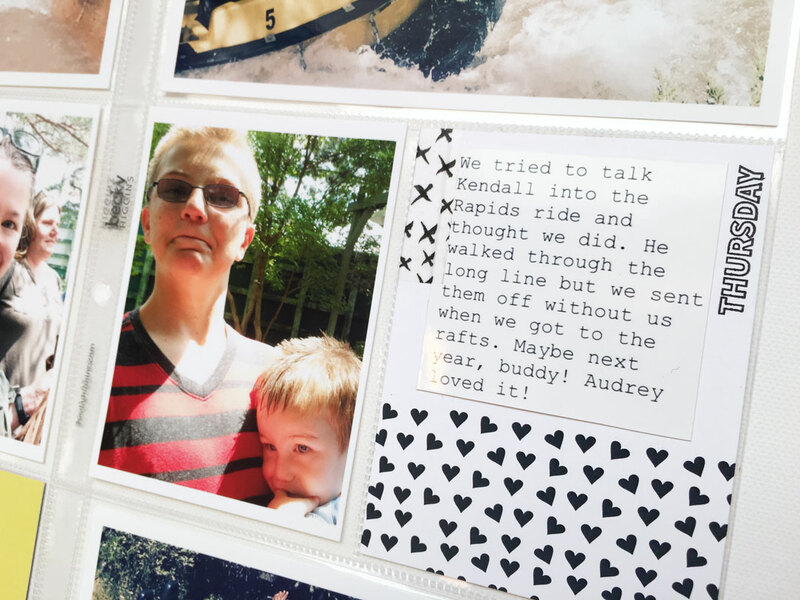 In Part One of this series, I talked about how I printed my journaling with the Selphy. 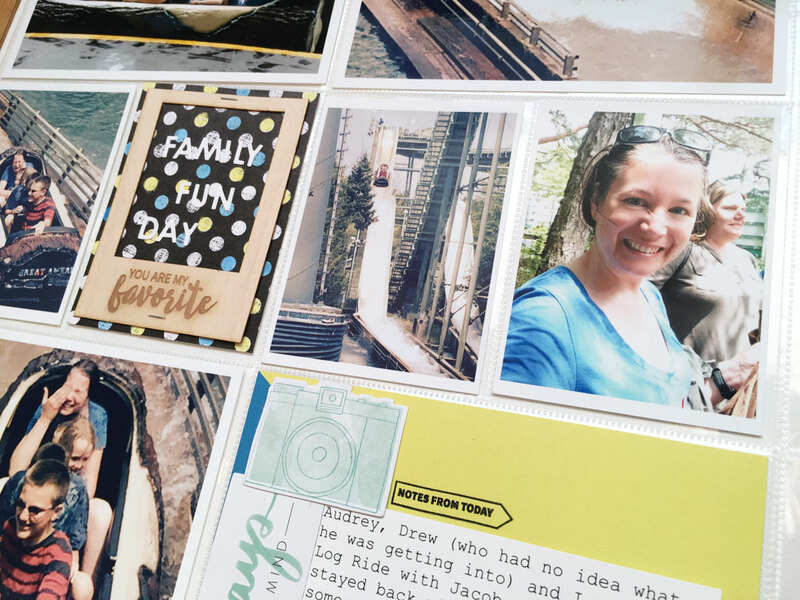 If you'd like to know how I created my journaling to print on the Selphy, I have a tutorial right here. Hope you enjoyed this series of Theme Park Layouts! Follow me on Facebook and Instagram! 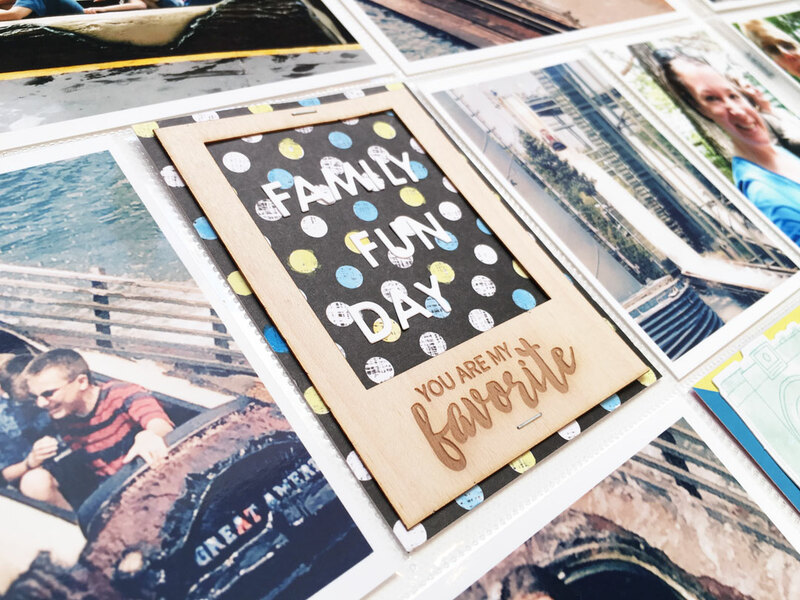 Below you will find a few affiliate links of my favorite supplies. Affiliate links kick back a small amount of money to the blog, and cost the buyer nothing extra. Thanks for your support!